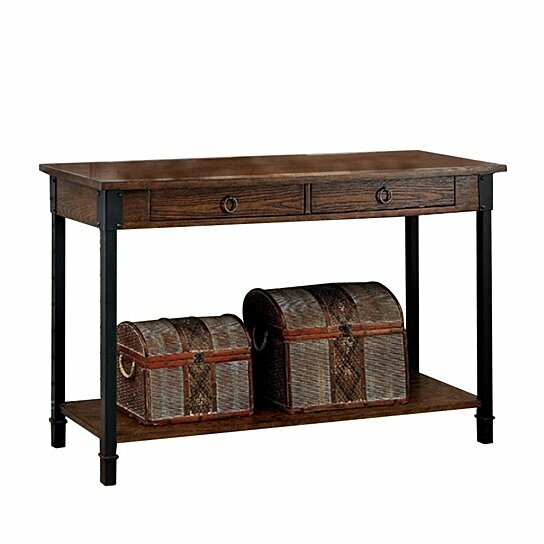 Pivotal pieces for enhancing your home's appearance, this table features a beautiful industrial inspired design. The prominent metal accents can be found acting as both supports and accessories for table. The plank style surfaces emphasize the wood construction and showcase the gorgeous dark oak finish.